The slowly developing Union Road in Ascot Vale has been a relatively dry zone, with only the corner pub to turn to. So, husband and wife team Jordan and Effie Willis sold their cafe Little Byrd and bought the dingy space next door, transforming it into an intimate bar. 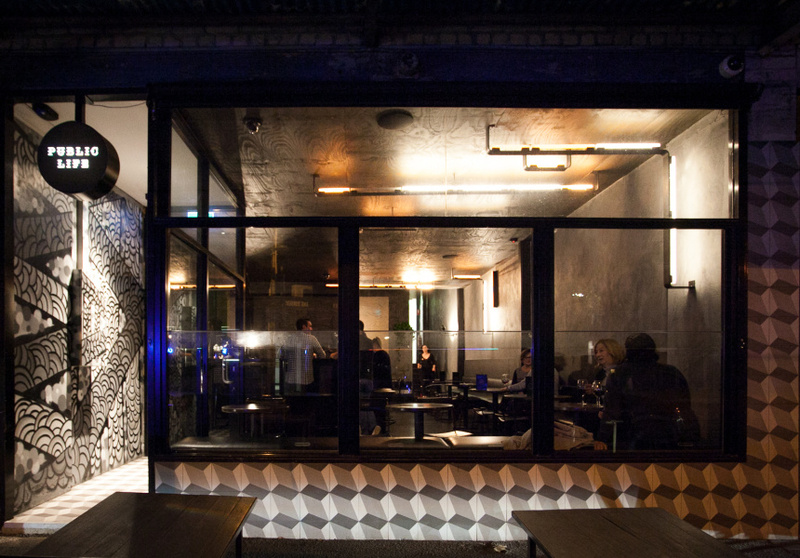 The one long room has a simple fit-out, with dark wood, industrial fittings and polished-concrete floors. There are cushioned benches and greenery tumbles down the back wall. Large street-facing windows open during warmer months, allowing customers to drape themselves over the window ledge. Standing to attention behind the bar is an impressive line-up of spirits, many of which are from Australian distilleries. The wine list features mostly Australian wines and the small cocktail list uses simple, light flavours, such as West Winds Gin with blackberries and lemon. 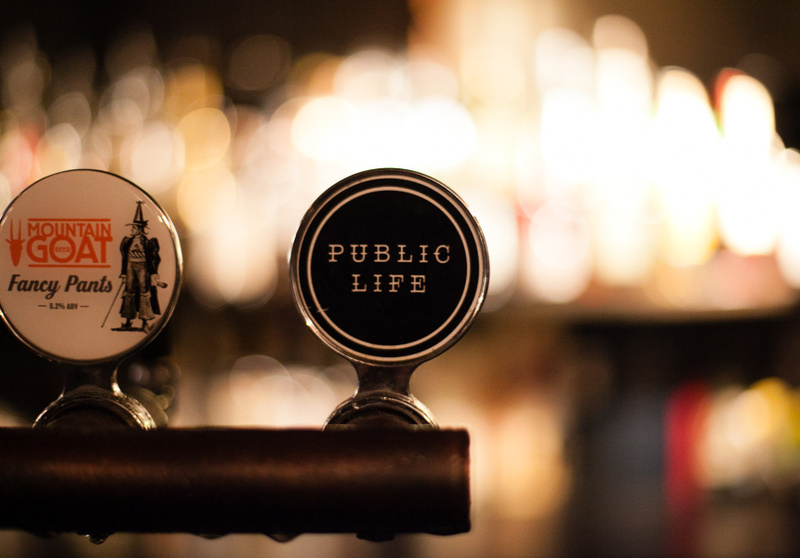 A selection of craft beers includes the bar’s own Public Life Premium Draught – a crisp, easy-drinker. 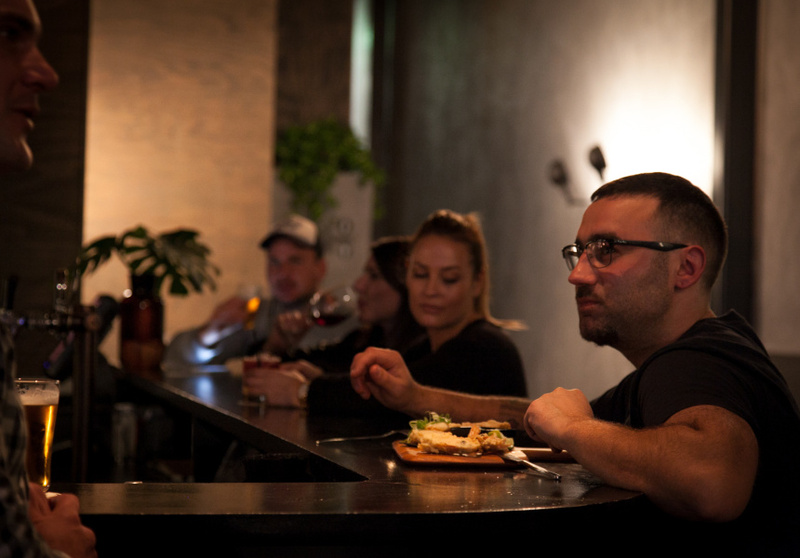 Just like the bar itself, the menu is relaxed and social. There is an emphasis on salty finger food such as grilled saganaki with fig jam and the popular Athens Fries – handmade golden chips covered in feta cheese and parsley. The menu changes seasonally and two weekly specials keep things interesting for devoted regulars. On Wednesday nights themed dinners take over, featuring pairings such as dumplings and sake or tacos and beer.